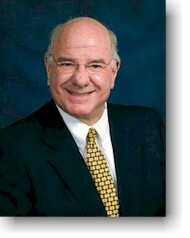 There are few, if any, mediators in St. Louis with as much or more experience than Ron Wiesenthal. Wiesenthal has regularly served as both a court appointed and private mediator since 1992. While he was a practicing attorney, he represented plaintiffs and defendants in a myriad of civil litigation and transactions and he understands the needs and goals of parties and attorneys on both sides of the docket. Ron Wiesenthal will discuss a lawsuit’s strengths and weaknesses with each party and attorney in a forthright manner. More importantly perhaps, he will listen to what each party and attorney has to say about the case. Wiesenthal understands that settlements cannot be imposed upon parties but that parties must reach agreements on their own terms. Wiesenthal knows how to get a case settled. The St. Louis Mediation Center is 100% committed to mediation and settlement of disputes of every kind and regardless of value. Ron Wiesenthal is a full time mediator whose only allegiance is to settlement. Mediation is not a sideline or a part-time job for him. He has no private law practice to distract him from your case. Cases are reviewed from the perspective of a neutral and not as an advocate. At the St. Louis Mediation Center we commit to use our best efforts to settle your case. We will work with you for as long as it takes to arrive at an agreement. In return, we only ask that each party and attorney agrees to work toward settlement as well. Mediation works. The St. Louis Mediation Center provides expertise, surroundings and experience in the settlement of lawsuits. When our expertise is combined with attorneys and parties who are willing to listen and compromise their positions, the result is settlement of a lawsuit. "We routinely bring our issues to Ron for mediation. His experience, professionalism, and wisdom result in swift, fair settlements."